The dates this property will honor the certificate are November-April, Sunday-Thursday, subject to availability. We Loved it and we�ve been back! My husband and I stayed at the Lakehouse Inn Bed and Breakfast several times. We love the beach house because you have the whole house to yourself. The Beach house has a beautiful outdoor patio overlooking Lake Erie for a relaxing getaway and it has a wonderful fireplace and Jacuzzi. Just to hear the waves crashing is so relaxing. I made my husband a romantic candlelight dinner on the patio as the sun was setting. The kitchen is fully furnished and allowed me to prepare a wonderful meal. My husband enjoyed the meal along with the wine we had gotten on the nearby wine trail. The next morning we enjoyed a gourmet breakfast prepared by Andrea. It is a wonderful Bed and Breakfast and definitely one of our favorite places to spend with the one you love. We have stayed in the Beach House three times. It has a lot of charm and romance about it. The grounds are beautifully maintained as is the entire property. Breakfast is very good and the servers are very friendly. It is a family run and owned business and it shows. From checkin throughout the stay the personnel could not be more accommodating. The view of Lake Erie is terrific and the wines are good. In addition they have an on-site restaurant with tasty food. We cannot wait to go again next year. My husband and I were recently married (4/26/09) and we didn't have time for a very long honeymoon, so we booked just two nights at this lovely inn. Breakfast was wonderful and the place was clean and charming. We had a very lovely time. 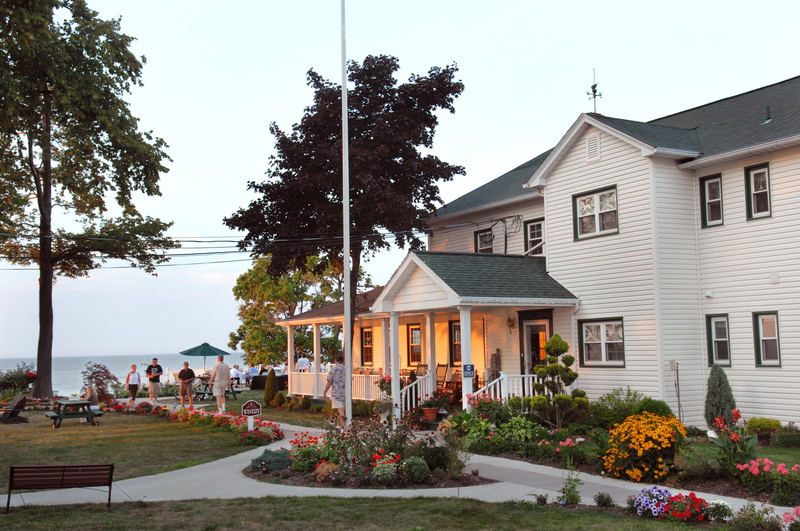 A secret hideaway on the beautiful Lake Erie Shores! This winery and Inn is tucked away in Geneva Ohio right on Lake Erie. features include wine tasting on a deck overlooking the water. The Inn has many comfortable rooms and the home cooked breakfasts are delicious! Affordable prices! Many themed getaways! I come for the girls weekend with my daughter Holly! Check them out!